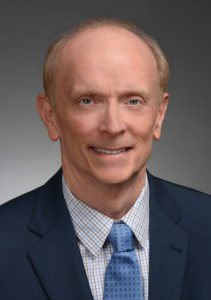 Dr. Daniel Hynan is a psychologist in independent practice based in Illinois. He specializes in child custody issues, but provides a full range of psychological services. Dr. Hynan is a published author, Board Certified in Assessment Psychology and is a sought after child custody expert in the courtroom. He has been in practice for over 30 years, and despite his extensive research and efforts on behalf of children in custody cases, he has maintained a full therapy practice for individuals, couple and families. Dr. Hynan specializes primarily in conducting child custody and related evaluations, and he is noted in the field as an expert on the subject. In some cases, when there is dissatisfaction with an evaluation by a different provider, an order is written for him to conduct an additional one. Work Product Reviews of others’ evaluations are also carried out by Dr. Hynan. In addition, Dr. Hynan provides clinical psychological services, offering individual, marriage, and family therapy. 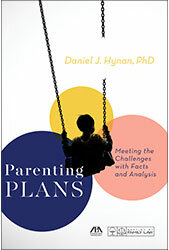 Parenting Plans: Meeting the Challenges with Facts and Analysis, by Dr. Daniel Hynan is newly published by the American Bar Association. In Dr. Hynan's new book it is easy and quick to find specific parenting plan information in this book. The Table of Contents (see here) are set up to clearly identify both exact sections and major topics. Attorneys often desire consultations for certain cases, such as Work Product Reviews. An attorney may find it most productive to use a non-testifying consultant who works behind the scenes as part of the usually confidential legal team. Others may prefer an expert witness who testifies. By integrating scientific evidence and decades of practical experience, my consulting is qualified to clarify clearly what is in the child's best interest. Dr. Hynan is certified with the American Board of Assessment Psychology (ABAP). It represents his extremely high level of expertise in the assessment field, which is especially relevant for his child custody and related evaluations. ABAP has included numerous national and world-wide leaders in psychological assessment. Dr. Hynan Publications has published the best selling book CHILD CUSTODY EVALUATION: NEW THEORETICAL APPLICATIONS AND RESEARCH (2014, Charles C. Thomas Publisher). This book is extremely useful for child custody evaluation (CCE), family law attorneys, and judges. Some review excerpts: "An excellent book not only for custody evaluators but others as well", "The scholarship in this book is extraordinary." Click the Read more button below to see the Table of Contents.